Joelle Gruber leads 3SI’s program evaluation work, assisting clients on the important journey from articulating goals and objectives to enhancing program effectiveness. She brings an expertise in mixed-methods quantitative research to her projects. Joelle has worked in the field of evaluation for nearly 15 years, most recently at JPMorgan Chase where she designed and implemented the evaluation strategy for the JPMorgan Chase Foundation. 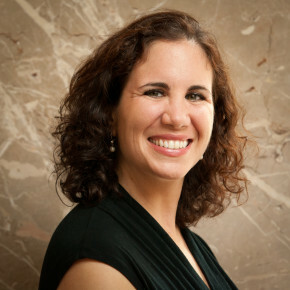 Prior to joining JPMorgan Chase, Joelle worked for Metis Associates, a third party evaluation firm, where she led projects to determine the outcomes of school readiness assessments and measured the impact of college preparation programs. Her work experience also includes the evaluation of state-wide policy education evaluations for Policy Studies Associates and a qualitative study of outcomes for the Robin Hood Foundation. Joelle holds an MPA from Columbia University and a BA from the University of Chicago. She is a graduate of Leadership Tomorrow.